This years summer trip was to North Uist where we had decided to explore the exposed scenic sites of the outer Hebrides and maybe get a couple of wrecks in the process. The trip was based in Lochmaddy, loosely around the Outdoors centre where the promise of free air was a significant draw and the Old Court house an excellent bed and breakfast. Astrid at the centre made our stay very pleasant, even providing afternoon cakes. The plan was to meet up on Friday evening in Lochmaddy and this we did, with people taking different ferries as suited their needs. Colin and Steve checked out the local facilities and found the diving compressor advertised by the North Uist Outdoors had seen better days and while the diesel engine eventually groaned to life in a cloud of blue smoke, no amount of administrations from our resident mechanic couldn’t get the compressor to squash a gnat. Luckily there was a plan B, and by using Colin’s portable compressor and Lee Coleman’s kind offer of assistance at Clachan stores we were able to recharge cylinders throughout the trip. The success of this trip is in no small measure due to Lee’s kind hospitality, local knowledge and use of his compressor. He is due an enormous debt of gratitude. Day 1: Saturday. The weather was to say the least challenging , grey and a stiff SW breeze but with an initial flush of enthusiasm the first of two waves set off from the old slip at Lochmaddy to dive Madadh Mor. 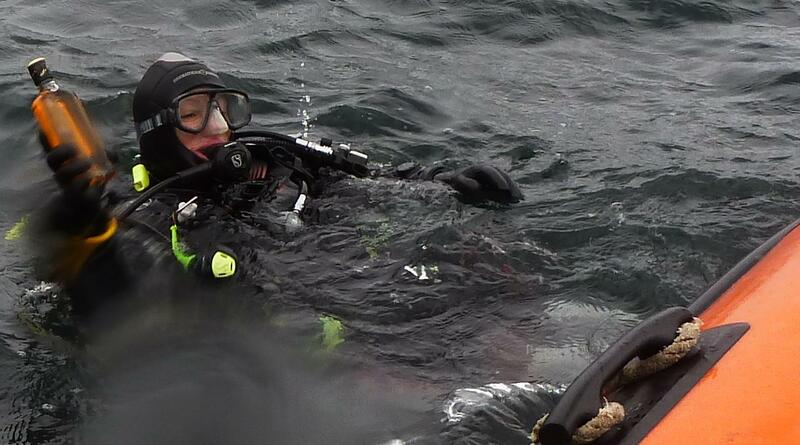 With the first wave of divers retrieved and having reported a good dive the sea state got worse and everyone voiced thanks to Lynda for coxing Deep Dancer home through a 1-2m chop. A second wave decided that a dive in the area of the SS Burnside was the only viable option and reported a muddy and disappointing dive. Day 2: Sunday was a repeat of the day before with the people who didn’t dive the Maddies getting a chance in the morning. 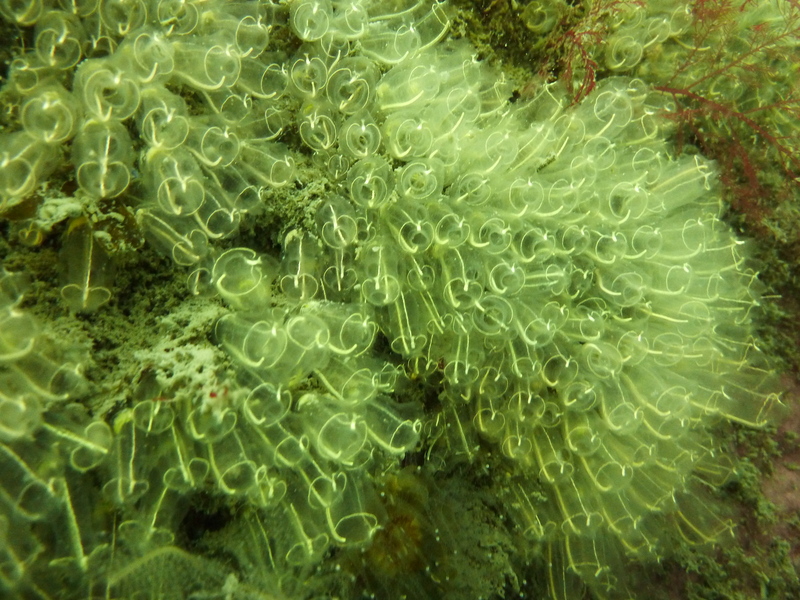 The site was the sheltered NW side of Madadh Grumaidh or across the bay under the adjacent cliffs of Bruthach Dhomhmuillean where good dives on shingle sand and boulders were reported. Again the seas got up while the divers were in the water and the wind sheared to the West causing the boat trip for the second wave to be cancelled. Unperturbed we opted for a site that Lee had told us about that was used by the local club for training. The site was in Loch Eyphort below the old ruined post office and while Lynda and Tony provided shore cover, Steve and Paul, Izzy and Garry and Hamish, Colin and Chris enjoyed a very good shore dive. 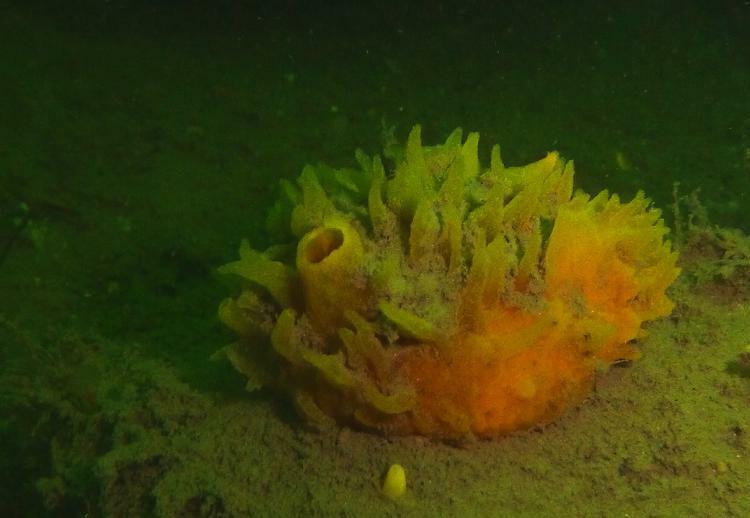 While in part a typical loch dive some interesting life was reported such as a large dogfish, jewel anenomies and this Polymastia sponge. Monday saw the departure of Paul and Tara and Colin who could only make the weekend but the evening saw the guest appearance of David who popped into the Lochmaddy Hotel to say hello. The Sound of Harris was the days option and we drove up to Cheesebay on North Uist to launch at the municipal slip that also acts as a base of the sizable fish farming operation going on in the area. 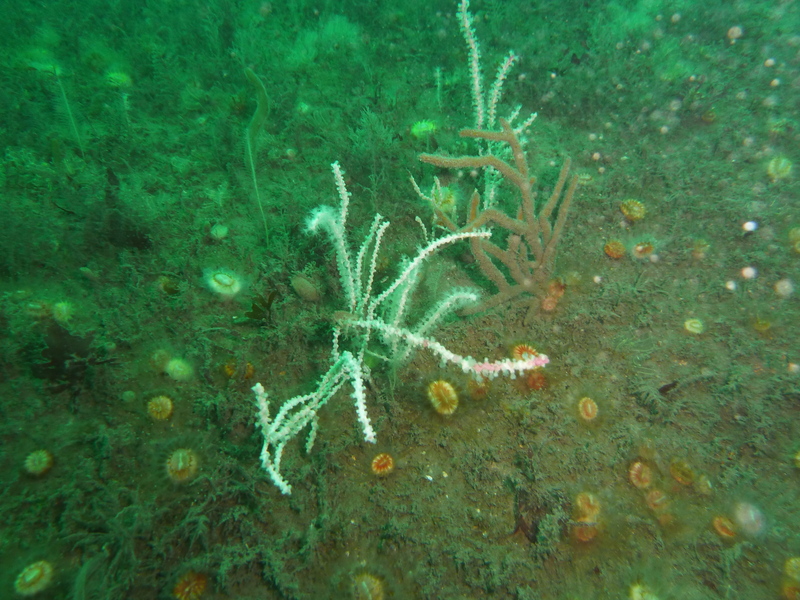 The idea was to explore the site of a 16th century shipwreck that had been discovered off Sursaigh, one of the islands in the Sound of Harris but problems with the GPS meant we couldn’t get a fix and spent a fruitless if enjoyable hour exploring the reefs and skerries of the Cope Passage. 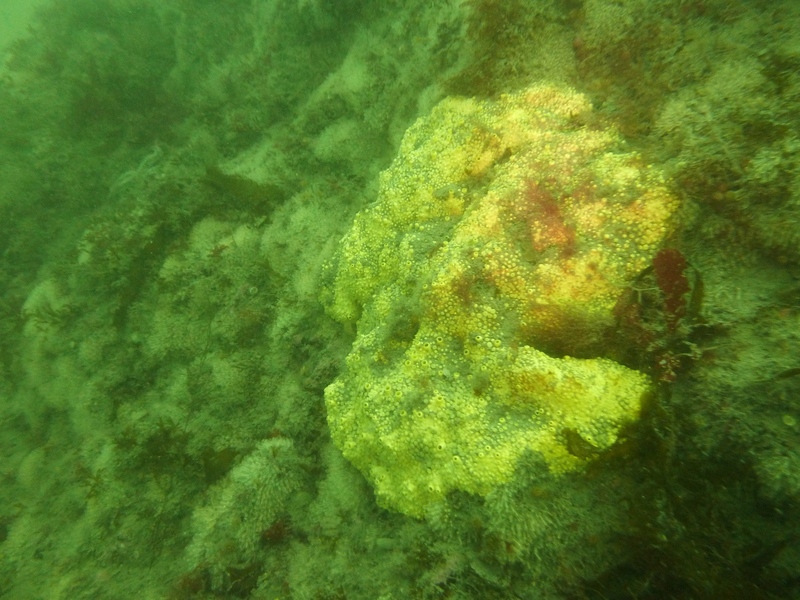 In the end we dived a site off the northern side of Sgeir a’Chuian where we found small walls covered in light bulb sea squirts and yellow sponges. 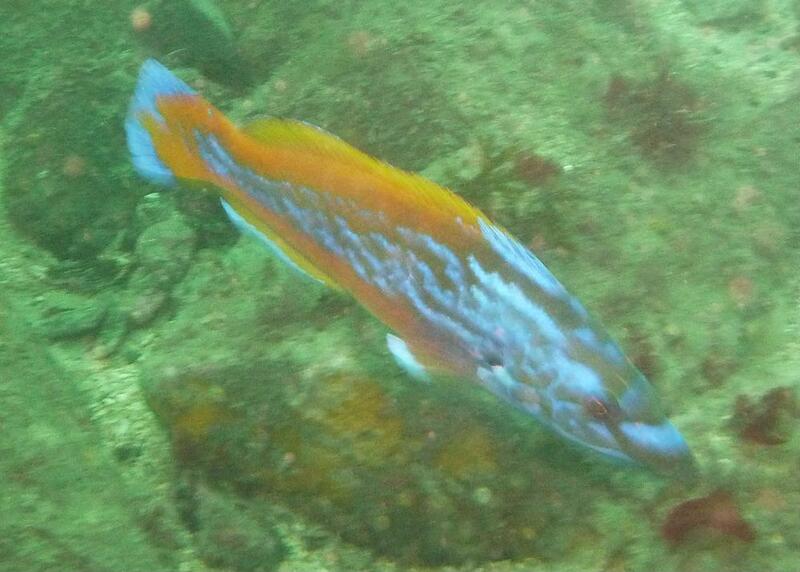 Day 4: Tuesday was to be the day we dived the SS Am Politician. Launching from Ludaig jetty on South Uist we set off to the approximate coordinates but a problem with the GPS meant we could not get a position fix and after spending some time on transects using the depth sounder decided to call it a day and find a scenic dive off the headland of Rubha Mealabhaig. 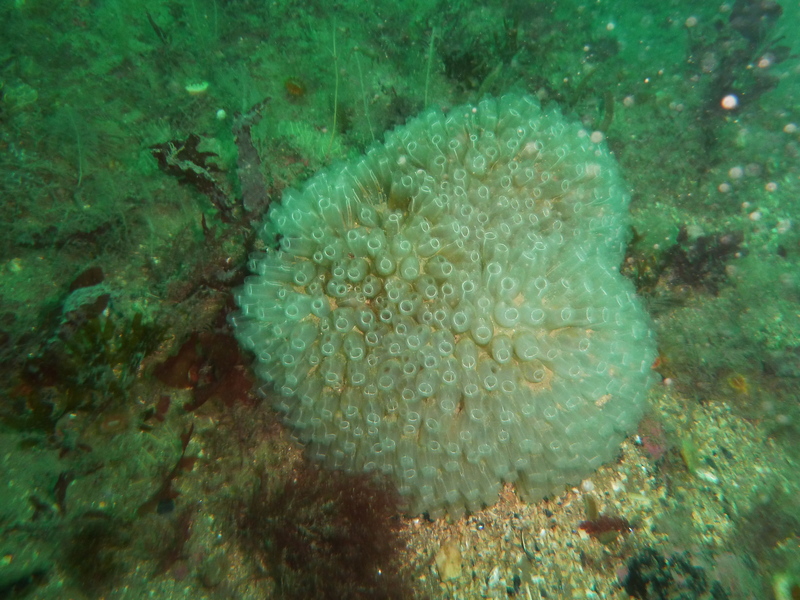 The first wave was dropped in off Sgeir a’Mhill in slack water and enjoyed a splendid dive on shingle sand and small walls covered in jewel anenomies. 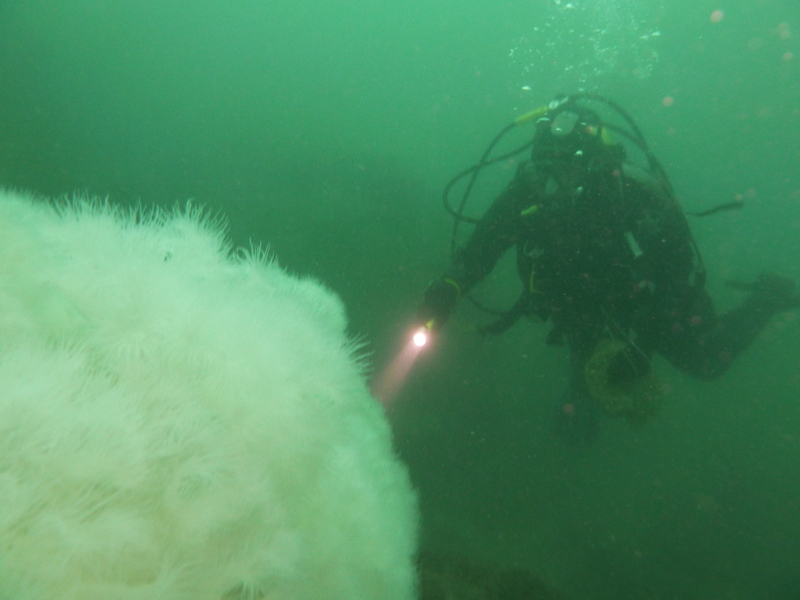 Steve brought the second wave out to dive the same site but this time after sheltering in the kelp, the current provided a exciting drift. On the return journey we once again spent a little time looking for the SS Am Politician and Izzy and Garry jumped in on a mark. Did she really pull a bottle of whisky from the wreck site of the SS Am Politician ? Izzy’s smile on surfacing says it all ! Another attempt was made by wave 1 to find the elusive Politician but again the mark we identified proved to be kelp and after a short dive and lively pickup we returned to call it a day and retrieve the boat in rather rough conditions. On the way home we stopped at Clachan Stores and were told of a dolphin rescue that was happening and required some lifting power. Happy to help we all drove off to find the dolphin already lifted and about to be tranported to a more sheltered site. Lee later reported that the rescue had been a success and that then dolphin had swum away when released in deeper water. So not every day was destinded to be a diving day and Wednesday was to have been a day off with people riding bikes and playing golf while the ultra keen could dive if they so wished. Ironically we woke to horizontal rain and everything was stormed off. Even the locals admitted it was somewhat wet! So a social day was spent walking round the lochmaddy visitors centre and coffee shop or decanting into the pub. 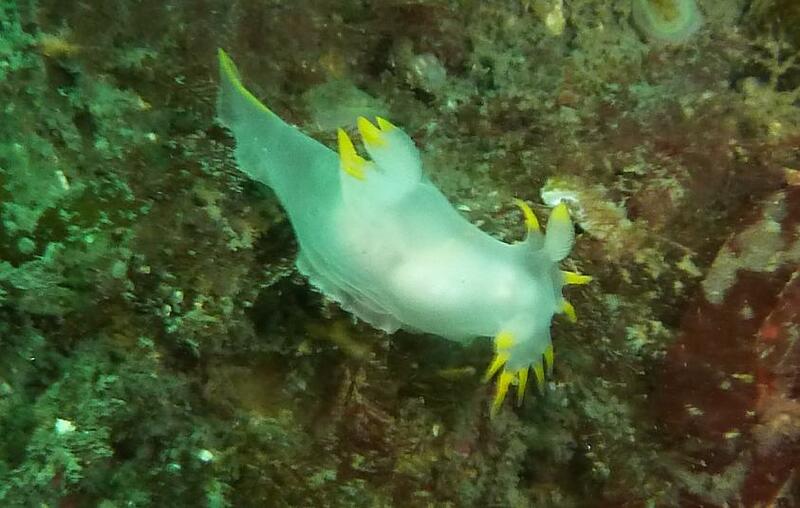 Perhaps some of the best diving experienced on the trip, a combination of brighter skies and better weather. Opting for a sure thing on the last diving day we decided to go back to the Maddies where after descending into blue waters we were reminded of why we had come out to Uist. 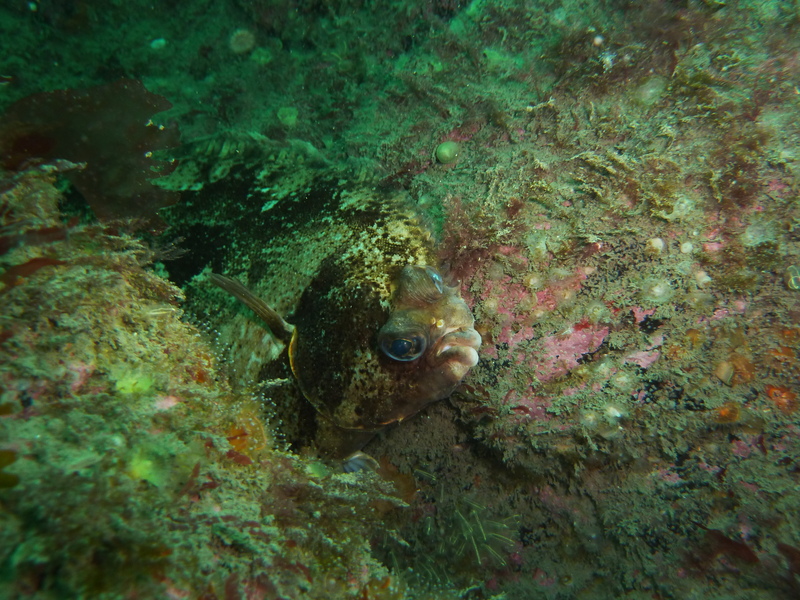 Everyone who did this dive were met and greeted by this fine chap who followed us for some way along boulders and walls where nudibranchs and flatfish were seen. The return journey saw the trip ending in the club hut, the boat washed down and everyone heading off home for a holiday. Dishing the dirt: well you know who you are and what you did. Paul, Hamish, Tony, Steve, Hamish again, and of course not forgetting Lynda. An additional mention of the joint effort by Paul and Steve is worth a comment as well! One for the pub I think !